The online marketing portal allows users to manage marketing campaigns. Instructors and members can use the online calendar feature to schedule courses. The dashboards display daily schedules, as well as notifications and reminders. Members can access a self-service portal to track their training progress, view and schedule courses, communicate with instructors, make payments, and generate reports. With ClubRight, instructors can even book rooms and slots. Designing tools allow users to add branding to welcome screens, membership forms, payment receipts and invoices. The ClubRight member app allows members to create their own app to encourage members and staff to stay connected and generate more leads. The guys at Club Right have wanted our custom from the first day I met them. They’ve been interested in our gym, and it feels like they’re an outside part of your team, by wanting you to succeed, plus they are so easy to contact should you have any issues or questions. There’s an online chat/conversation that you can pose a question about something on your software and you’ll get a reply super quick, in a friendly helpful way. We won’t be changing to another company for a very long time if at all! Easy to set up, use & train staff in. Super easy for customers to book in classes and pay memberships online. Very user friendly. It looks good and modern. Timetables, classes and memberships are all easy to change if necessary. It’s all one screen, not having to divert onto different areas of the software. The home screen is easy to see who’s owing, messages etc. The back office area, is straight forward to get the reports needed. Overall we love the software and how straight forward it all is! The cost..... a quarter of what we were paying anothe rcompany, and we’re getting everything we wanted! Simply, Very satisfied. We have a few ideas going forward, all of which Clubright are working on. As we grow, we grow with Clubright behind us all the way. You will not find a more affordable, approachable, reliable management service available. Trust me we searched everywhere and are so glad we found Clubright. Thank you. Simple Affordable Effective Informative Productive, club management. Simply Brilliant. We love everything about Clubright. We use it to manage over 500 Gymnasts at our Gymnastics Academy. It has taken so many stresses away with regards to payment and club management. Software aside, The Clubright team are very approachable and are open to any suggestions you may have to make managing your club easier, always only a phone call or live chat message away and have helped us on numerous occasions (9 times out of 10 it was operator error, but even when it wasn't they found a solution very quickly) I cannot recommend Clubright highly enough. Simple Affordable Effective Informative Productive, club management. Simply Brilliant. We love everything about Clubright. We use it to manage over 500 Gymnasts at our Gymnastics Academy. It has taken so many stresses away with regards to payment and club management. Software aside, The Clubright team are very approachable and are open to any suggestions you may have to make managing your club easier, always only a phone call or live chat message away and have helped us on numerous occasions (9 times out of 10 it was operator error, but even when it wasn't they found a solution very quickly) I cannot recommend Clubright highly enough. ClubRight is the professional, user friendly management system we didn't know we needed. For an independent, start up gym, ClubRight has all the tools and features to aid in the smooth running of our facility. From aiding sales from initial customer enquiry, easy sign up, retention and facility operation, ClubRight has easy to understand and use features and integrations to all necessary partner applications. It is obvious from the outset that ClubRight has been designed by a team with relevant industry experience and with club growth and operation the primary objective. Constant upgrades, new features and high standards of customer care means ClubRight's value to us is always improving and giving us the confidence in a fully integrated management system. Hi Lewis, we greatly appreciate your feedback and we are pleased to know that ClubRight is successful in helping you run your boutique gym. We look forward to working with Elyte Fitness in the future! streamlined processes, easy member administration, cloud based solution, collaborative software as it can be shared very easily.This software is cloud based so can be used by remote offices for class bookings and member enquiries, by the management team out of club should they wish to check in on the performance of their business and most importantly by members to maintain their profile, book classes and contact us via SMS or email. The support I've received from Clubright is fantastic - the support team are familiar with the operations of a fitness business so should I need support, I know that they get the challenges and opportunities I face each and every day! Hi Jon, thank you for the positive review! We are always open to customer feedback and will take on board any suggestions our customers may have. We look forward to working with Studio Fit Limited in the near future. • Manage memberships on the go from any internet-enabled device. ClubRight includes native iOS and Android mobile apps. • Customers can make secure payments online with in-built payment features. • Enables users to track and forecast sales, as well as create reports from an online panel. • Members have full control and can view timetables and availability, plus make bookings online. • Communicate with clients easily through in-built messaging tools. Below are some frequently asked questions for Club Right. Q. What type of pricing plans does Club Right offer? Q. Who are the typical users of Club Right? Q. What languages does Club Right support? Q. 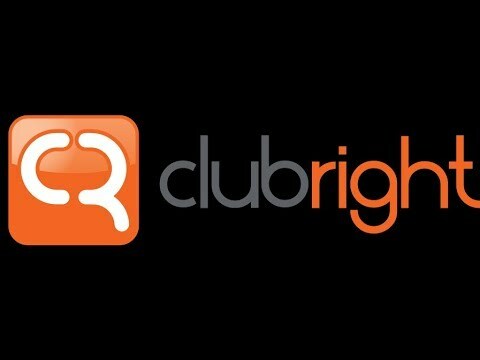 Does Club Right support mobile devices? Q. Does Club Right offer an API? No, Club Right does not have an API available. Q. What other apps does Club Right integrate with? Q. What level of support does Club Right offer?